Welcome! You are currently on our Singapore site. Select our United States site to find your local currency, language and product selection. Smart E-Bike. Made for you. Coming soon to Singapore. Keep yourself safely visible when you cycle at night with our lighting range. 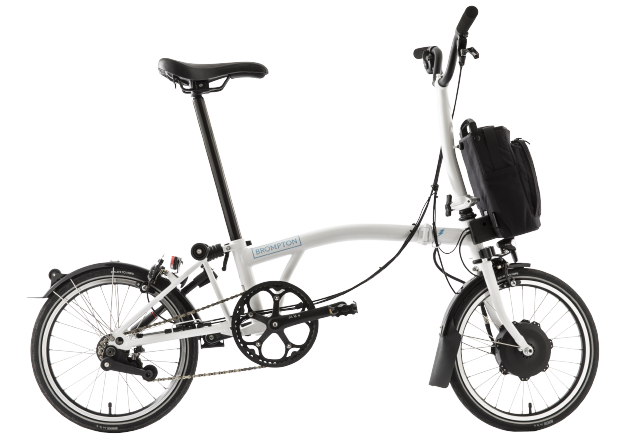 Get ready to ride your Brompton with the latest top tips. The clever design means that the bike can easily be folded or unfolded in under 20 seconds. 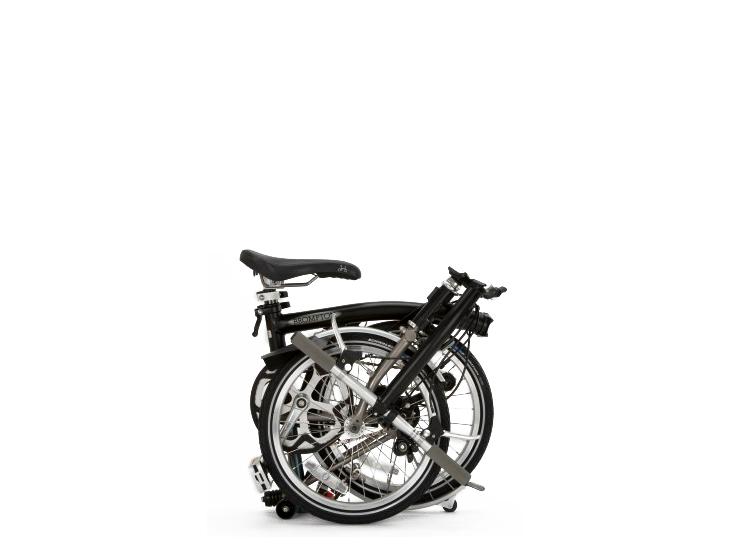 When folded, the bike is locked together in a compact package, which can be carried or towed easily and conveniently stored almost anywhere. The chain and gears are in the center of the folded package, keeping them away from clothing and luggage. M Type Classic handlebar shape, a good all round position. H Type For riders who prefer a more upright ride. S Type A sporty ride position. P Type Offers the flexibility of several grip positions. The four handlebar types offer different ride positions for various styles of riding. 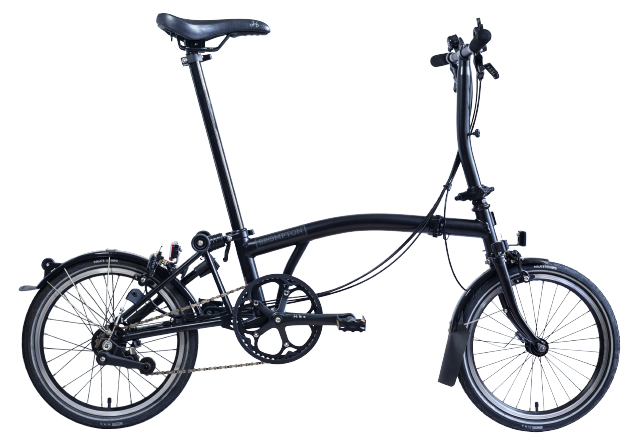 The handlebar options mean that the small folding bike will give a superb, comfortable riding position. Each handlebar holds a different appeal. Click on the handlebars to see the riding position. The small wheels afford the bike great acceleration and maneuverability, ideal for stop-start city riding. 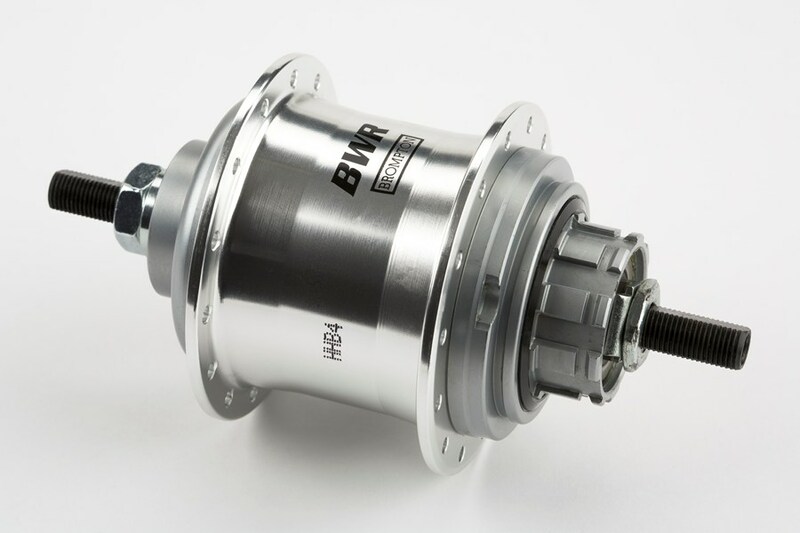 The smaller wheel diameter also increases the strength and rigidity of the wheels. 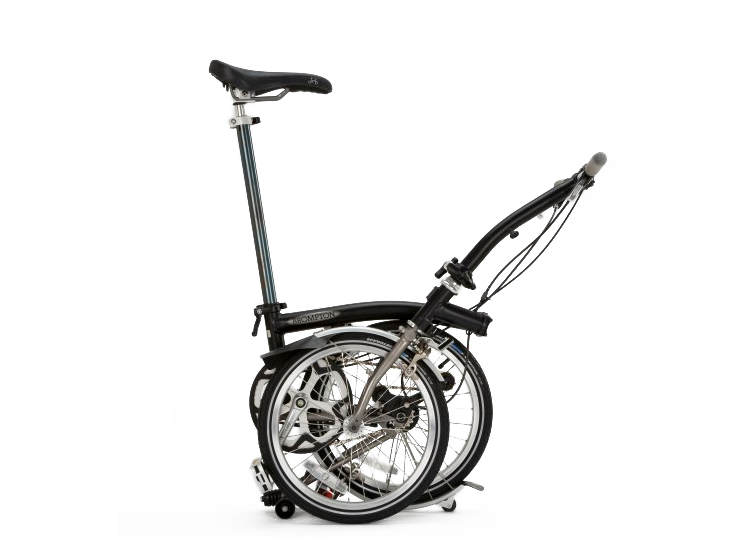 The suspension offered by the long seatpost and suspension block make the small folding bike comfortable to ride over rough surfaces and for longer distances. 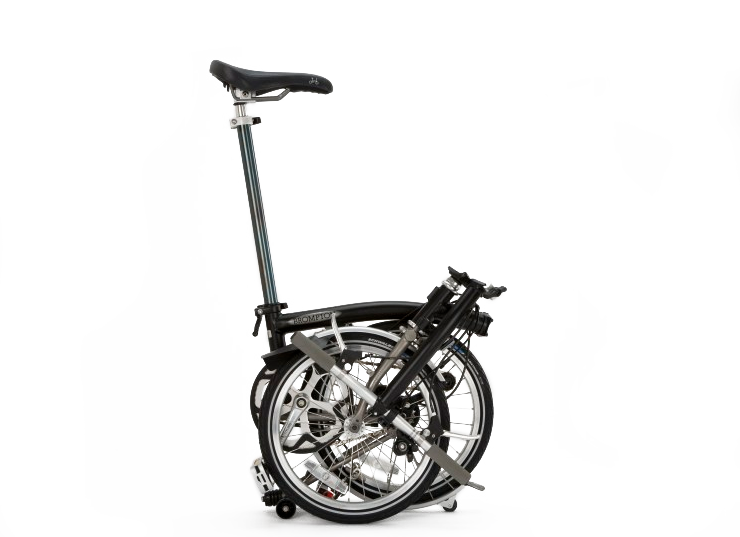 The Brompton luggage system allows the small folding bike to fit into your daily life. Day-to-day carrying needs which might need some thought become easy as the luggage system offers carrying solutions for everyone. The different styles and sizes of bags available mean there is a bag for any situation. 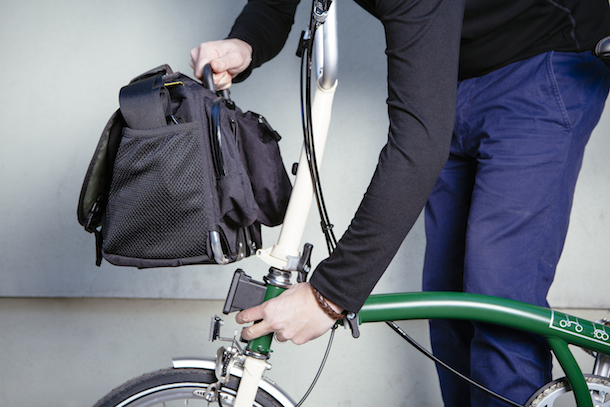 Steering and stability are unaffected by the front luggage system, as the bag does not attach to the handlebar. See more luggage options here. With 4 basic gearing options, plus the ability to adjust the range, the gearing can be tailored to suit the rider and terrain. From first time commuter to scaling alpine climbs, there is a gearing option for everyone on the this bike. 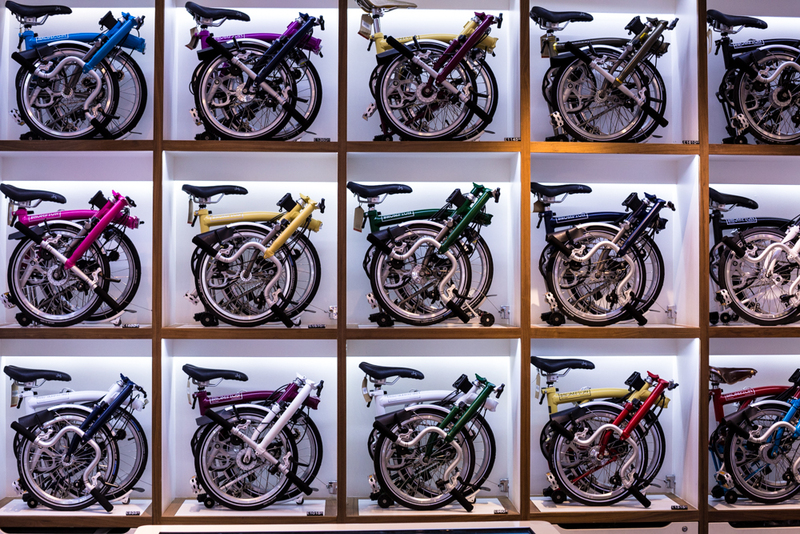 Brompton compact folding bikes are available in a range of 12 painted colors, including two-tone. They are are also available with a Raw Lacquer over the steel, allowing you to see the craftsmanship of the brazing. Experience the excellent ride quality first hand. 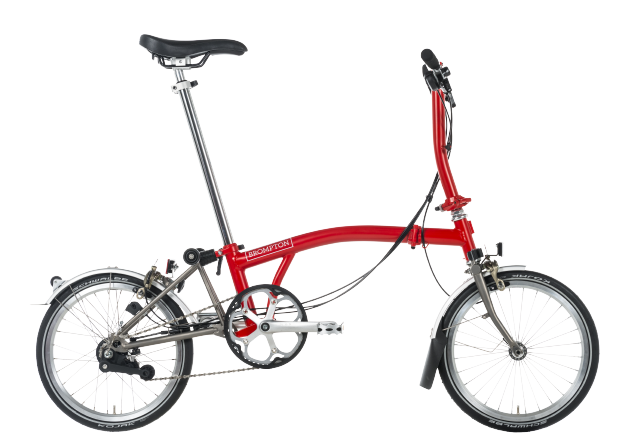 Visit your local store and test ride a Brompton today. Ready to buy? 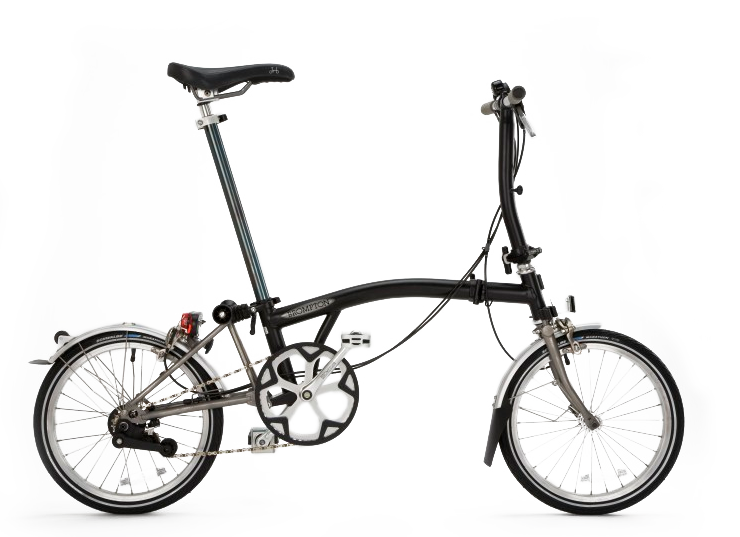 All our bikes need to be ordered through an official Brompton dealer. Find your nearest store. 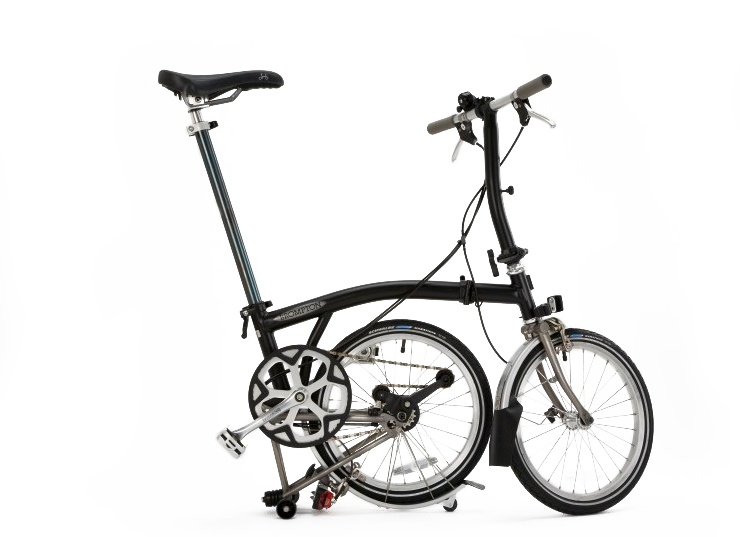 A Brompton can be custom built for you at our factory in London, it takes just 2 months from design to ship. Build your bike.